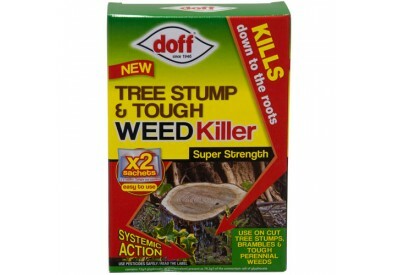 Doff Tree Stump & Tough Weed Killer kills down to the roots and is super strength. Can be used on cut tree stumps, brambles and tough perennial weeds. 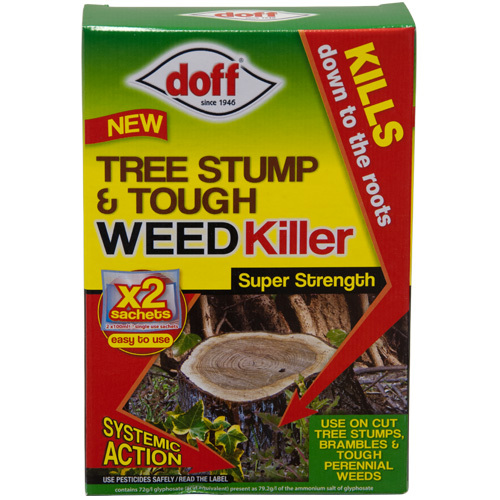 Coming in 2 x 100ml sachets, Doff Tree Stump & Tough Weed Killer gives you systemic action and is easy to use.